Three times further away from the sun than the Earth lies an enormous lump of metal. 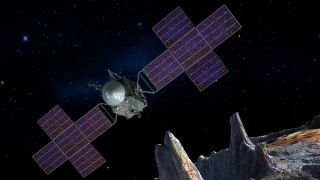 Around 252km in diameter, the metallic "M-class" asteroid 16 Psyche is the target of NASA's next mission to the belt of giant rocks that encircles the inner solar system. And the space agency now plans to visit it much sooner than originally planned.